Normacol Plus granules contain 62% w/w sterculia and 8% w/w frangula. Sterculia is a vegetable gum from the karaya tree and frangula comes from the alder buckthorn plant. 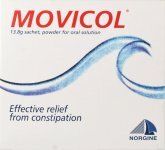 It is these natural products in NORMACOL Plus which help to relieve constipation and help keep you regular. Normacol Plus is also used by people who have recently had rectal surgery or surgery to remove piles. 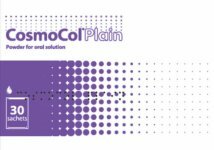 Always take Normacol Plus exactly as instructed. You should check with your doctor or pharmacist if you are not sure. 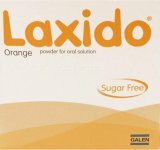 The usual dose for adults and the elderly is 1 to 2 sachets, or 1 to 2 heaped 5ml spoonfuls, taken once or twice a day after meals. Do not take Normacol Plus if you are lying down or just before you go to bed. Normacol Plus can be used in children aged between 6 to 12 years but only as directed by a doctor. If Normacol Plus does not work after you have taken it for 4 days, do not take anymore, and see your doctor or pharmacist. 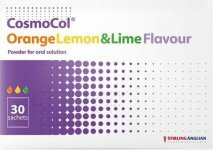 To take Normacol Plus, put the dry granules on your tongue from the sachet, spoon or your hand, or just take a few at a time if that is easier. Alternatively you can sprinkle Normacol Plus onto soft food such as yoghurt. 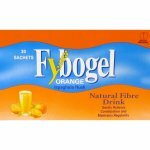 Swallow the granules with plenty of water or a cool drink, so that the oesophagus (gullet) does not become blocked. Never chew or crush the granules. If you take more Normacol Plus than you should and do not have bowel movements, see your doctor. If you forget to take Normacol Plus, just take the next normal dose at the usual time. Do not take a double dose to make up for a forgotten dose. The active substances are sterculia and frangula. The granules contain 62% w/w sterculia and 8% w/w frangula. 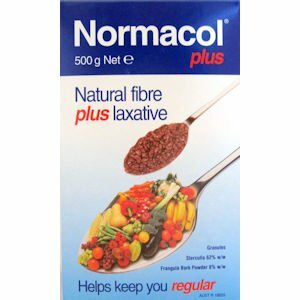 As with all laxatives, Normacol Plus should not be taken every day for long periods. If you need laxatives every day, you should see your doctor. 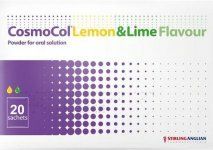 Normacol Plus should be taken after meals, always drink plenty of water or soft drinks. Do not take Normacol Plus if you are pregnant or breastfeeding unless your doctor has told you to do so. PLEASE READ ALL PRODUCT PACKAGING LABELS PRIOR TO USE.